New to Vogue Salon & Spa – Walk In Wednesdays! 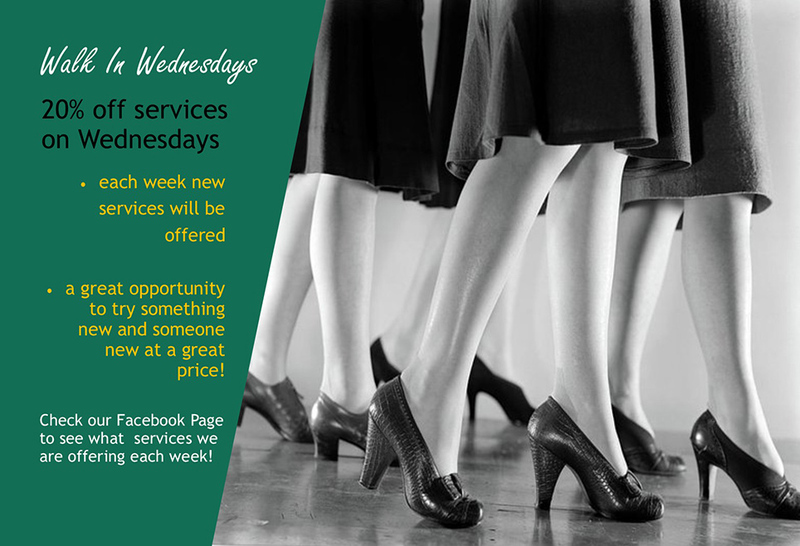 Check our Facebook and Instagram on Wednesdays to find out what services we are offering each week at a discounted rate. A great opportunity to try a new service!